Chase's city banking contract was conditioned on making quality financial services available to Oakland's low-income communities, but new data raises questions about how the bank is performing. 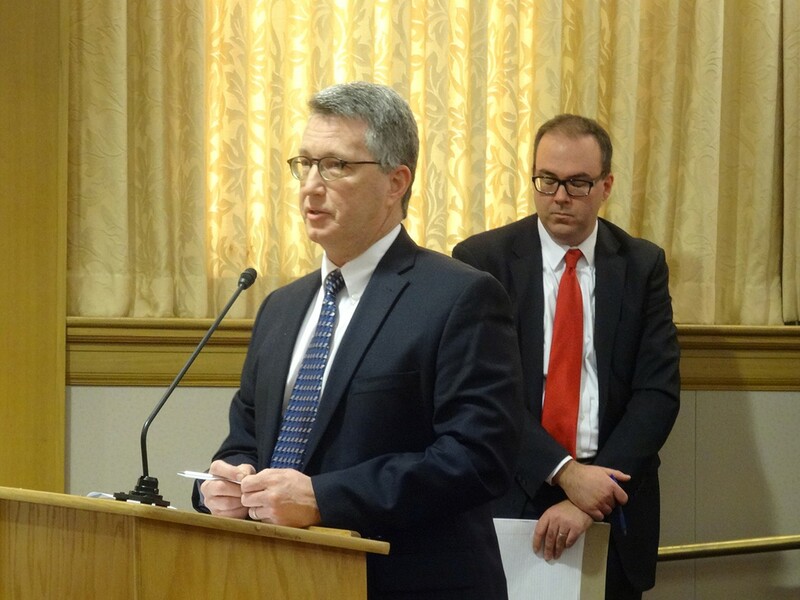 Chase executives addressed the Oakland City Council on Tuesday. In 2013, when the Oakland City Council selected JP Morgan Chase to handle its municipal deposits — a three-year contract worth $825,000 — the council made the bank's representatives promise to provide detailed information about Chase's lending activities in Oakland. The council also urged the bank to step up its investments in low-income neighborhoods, especially in Oakland's under-served Black and Latino communities. Yet despite the fact that JP Morgan Chase agreed to these conditions, data recently provided by the bank reveals that in 2013 and 2014, most of its residential mortgage loans were invested in houses in the city's whitest and highest-income neighborhoods. The bank made very few loans to homebuyers in Oakland's predominantly non-white, lower-income flatlands. Data collected by the federal government and analyzed by the Express confirms that most of Chase's residential mortgage loans for 2014 were made to white and upper-income customers. Blacks and Latinos, by contrast, not only received fewer loans, but the total value of the loans they received was far lower than the total obtained by whites. The data has some city officials and fair lending advocates worried that the financial services that Chase offers aren't benefitting the city's neediest communities. They are also concerned that Chase hasn't provided all of the data that was requested as part of the city's 2013 contract. "I think it's inadequate," said Councilmember Rebecca Kaplan about the data Chase provided. "It's missing a lot of stuff we requested, and in terms of what the bank did provide, it raises more concerns than it resolves." The data that Chase handed over to the city was made public in a staff report for this week's city council finance committee meeting. Chase asserted that it made 818 mortgage loans to Oakland customers in 2014 totaling $493 million, according to the report. These included home purchase loans, mortgage refinance loans, and home renovation loans. The data includes the number of loans and the total value of loans made to customers in 107 census tracts in Oakland. Census tracts are geographic areas roughly equivalent to neighborhoods with populations of about 5,000. Chase didn't supply data to the city revealing how many home loans and of what value it made to customers of specific racial groups, income levels, and by gender. Nevertheless, the data showed that whites were the single largest racial group in eighteen of the top twenty Oakland census tracts in which Chase reported making mortgage loans in 2014, when ranked by the total number of loans made. The 35 census tracts in which Chase reported making the fewest number of loans were all majority non-white. The top census tract in which Chase reported lending the most money in 2014 encompasses the Glen Highlands and Merriwood neighborhoods of the Oakland hills, where the median household income is $135,000 and whites account for 64 percent of the population. Blacks and Latinos are only 3 and 8 percent of residents, respectively, in that neighborhood. According to the data Chase provided to Oakland, the bank made 31 mortgage loans to customers in this neighborhood for a total value of $21 million. By contrast, one of the census tracts in which Chase made the fewest loans is the deep East Oakland neighborhood of Durant Manor, near Oakland Councilmember Larry Reid's home. Chase reported only making three loans in the neighborhood, worth a total of $264,000. The median household income in Durant Manor is $64,000. The neighborhood's population is 52 percent Latino, 36 percent Black, 7 percent Asian, and only 2 percent white. Late last year, Chase closed its bank branch in the Durant Square shopping center, removing its only branch in Oakland east of the city's Fruitvale district (see "Oakland Struggles to Hold Banks Accountable," 10/28). Kaplan said the city requested information about how Chase is reaching out to historically redlined communities, including through advertising. She also said the council expected Chase to maintain its deep East Oakland branch and possibly open other branches in mostly Black and Latino neighborhoods. "There's no evidence they've done any of this," Kaplan said. "In fact, there is evidence that they've done the opposite." Fair lending advocates have been concerned for years that Chase, and other major banks like Wells Fargo and Bank of America, are perpetuating a history of redlining by not extending high-quality financial services and products to low-income communities, especially Blacks and Latinos. Instead, during the 2000s housing bubble, banks targeted low-income customers, especially Blacks and Latinos, with subprime and predatory loans. When the economy crashed, the banks then foreclosed on those toxic loans. The Greenlining Institute and the Urban Strategies Council, two Oakland-based policy organizations, have been studying lending data for major banks in California over the past several years. They said that the financial industry as a whole hasn't made much progress in helping low-income communities grow their wealth. They also said that Chase and other banks have not provided detailed data that would allow for a more accurate picture of the problem. 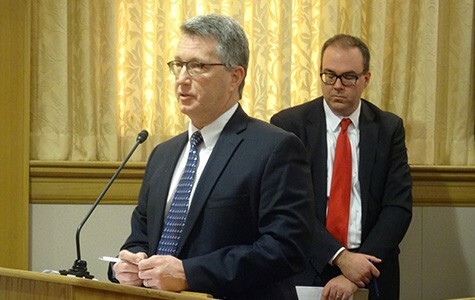 Robert Stahl, a researcher with the Urban Strategies Council, said one anomaly in the data Chase provided to Oakland is that the bank lumped both loans it originated and loans it purchased from other banks together to report its total lending activities for 2013 and 2014. The result, said Stahl, is that it looks like the bank originated many more home loans in Oakland than it actually did. For example, Chase reported making 1,317 loans in Oakland in 2013. Stahl analyzed federal Home Mortgage Disclosure Act data made public by the federal Consumer Financial Protection Bureau for 2013 and found that Chase, in fact, only made 111 mortgage loans in Oakland in 2013. Chase purchased the other 1,206 loans after other banks had made them in previous years. In an email to the Express, Kevin Stein, associate director of the California Reinvestment Coalition, a fair lending advocacy organization, wrote, "It's almost like musical chairs with loans, or double counting. Banks in the past have used loan purchases as a way to demonstrate they are serving low- and moderate-income borrowers, and borrowers of color, when they have not made loans to them." Suzanne Alexander, executive director of media relations for JP Morgan Chase, wrote in an email to the Express that the bank has been following the law and industry practice. "The data we submitted to the city is the data that is required of all banks for [Community Reinvestment Act] examinations. This includes a combined number of purchases and originations. That is the approved CRA- exam reporting method." Zachary Murray, an economic equity manager with the Greenlining Institute, said his group has met for years with the major banks to review lending data, and to discuss ways in which the banks can improve their impact on communities of color. "We used to be able to meet with bank CEOs," said Murray. "Now, we just meet with regional vice presidents." Murray said Chase was the last bank his organization met with in 2015. "They failed to provide us with any HMDA data whatsoever," he said, referring to the Home Mortgage Disclosure Act. "They entirely excluded it from their presentation. It's easier for the bigger banks to get away from being accountable to the communities." Nevertheless, one bright spot for Chase, said Murray, is that the bank had a higher loan approval rate for Blacks and Latinos than most other banks. "Their [loan] rate is actually higher for Blacks and Latinos than for whites" in Oakland, said Murray, referring to loans that Chase actually made and did not purchase from another bank. "But they had very low numbers of applications from these communities. So they were able to approve a higher percent because a lower number applied." Murray said Chase only made a total of nine mortgage loans to Black borrowers in Oakland in 2013. "We want to see them do more outreach to boost applications," said Murray. "In 2014, the numbers have totally declined. The banks are not extending as much credit." The Greenlining Institute and Urban Strategies Council plan to release a detailed report at the end of this month about the lending activities of major banks in Oakland, Fresno and Long Beach. It could shed more light on racial inequities in lending. Alexander declined to comment on specific numbers, but provided the following statement on behalf of JP Morgan Chase: "We lend to all individuals and families regardless of gender, race, or ethnicity and have a variety of loan options available to all qualified home buyers." On Tuesday, members of the Oakland City Council Finance Committee questioned three executives from Chase. "The report, as it sits, is unacceptable," said Councilmember Lynette Gibson McElhaney. Councilmember Anne Campbell Washington pointed to one metric showing that 41 percent of Chase's loans went to borrowers in low- and moderate-income census tracts, but that only 19 percent of its total loans were provided to low- and moderate-income borrowers. Campbell Washington said it appears that Chase is lending money to upper-income borrowers to buy homes in lower-income areas of Oakland, potentially fueling gentrification and displacement. The committee asked Chase and city staffers to redo the report with more information. Kaplan said in an interview that she plans to dig deeper into the data. "If they can't adhere to the promises they made, and if they're reducing services, that would be a factor in determining whether to keep working with them, or put stricter terms in a future contract." Schaaf's Stance on Raiders Is… The Return of Don Perata?